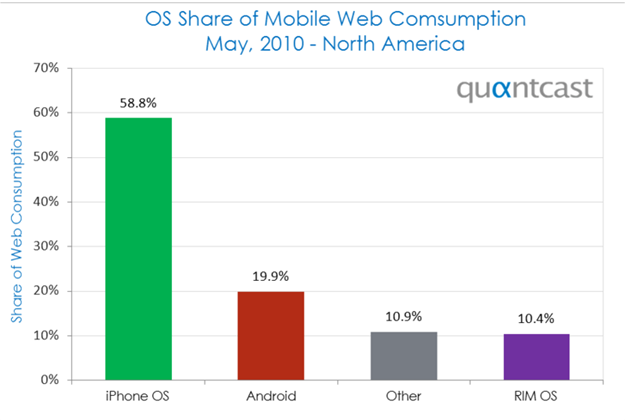 With Android-based handsets such as the EVO 4G selling out quickly, it comes as no surprise that Android as an OS should continue to gain in other areas as well. 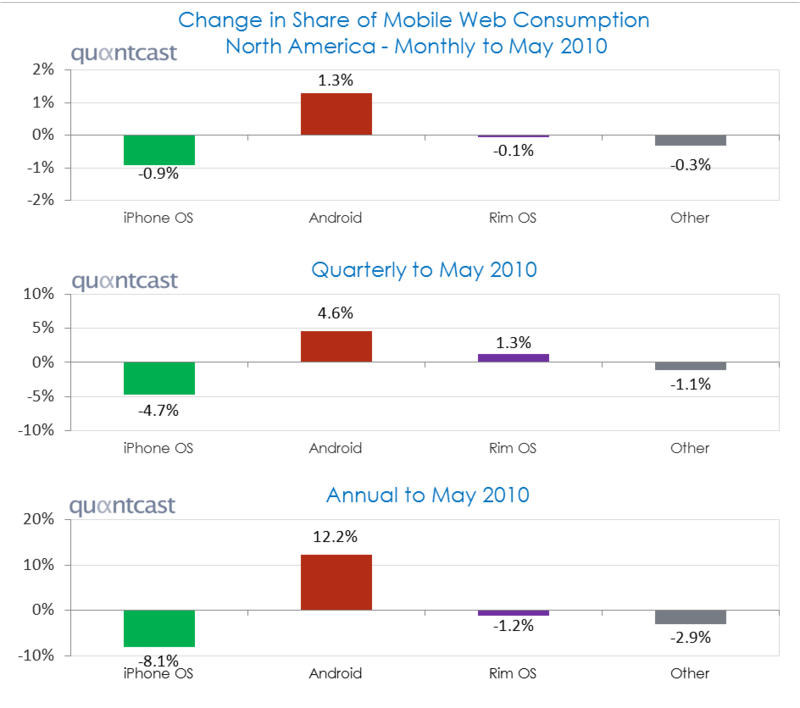 Today, Quantcast confirms that the Android OS has increased its web consumption share to 20%, mostly at the expense of the iPhone, and taking share from all other platforms. Although the iPhone still maintains a significant lead, it can be expected to continue to lose share to Android. 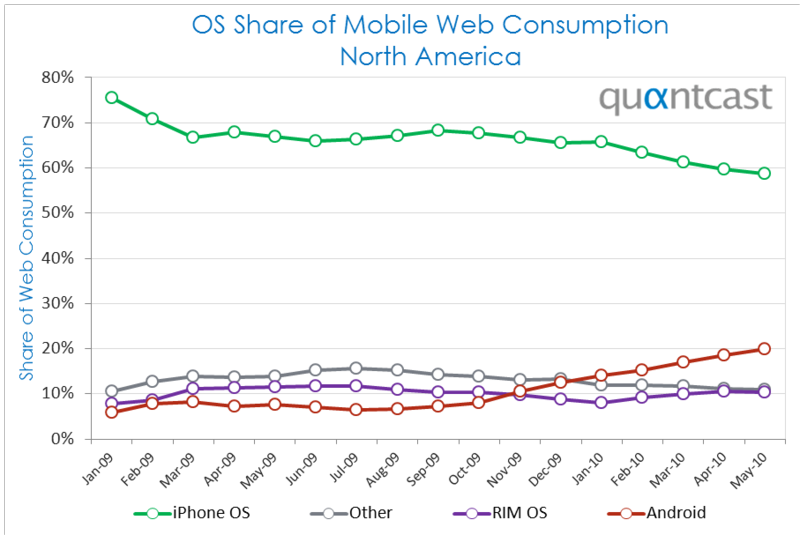 Compared to just a year ago, the Android OS platform has doubled its share while the iPhone has continued its slow decline. Looking at the annual, quarterly and monthly numbers, Android has constantly been increasing its share at the expense of all other platforms. With new, highly sought-after handsets like the EVO 4G, and as more Android handsets hit the market, the overall share of Android will continue to rise. It's just a matter of time before Android becomes the market leader.